Our pick of charming Old Town B&Bs, downtown Quebecois favorites and Montreal, Canada’s greatest luxury hotels will help you plan the best vacation ever to this wonderful city. Located along the Saint-Lawrence River, Old Montreal provides the pedestrian sightseer with beautiful 17th and 18th century European-style architecture. Its soothing charms and many friendly ‘restos’ make it a great choice for a family-friendly destination and our first choice for a place to stay. We’re partial to this large, very comfortable B’n’B inn right in the heart of Old Town, whose charming airy rooms boast exposed brick walls, brass beds, lacey trim and large marble bathrooms with jacuzzi tubs. Two-bedded doubles will sleep four, plus there’s room to spare for a rollaway. The staff is super-helpful and gracious; the fresh croissants and hearty cooked breakfasts send everyone in the family out sightseeing with a good start to the day. And the excellent restaurant is wonderful for dinner. Also hidden away in cobblestoned Old Montréal, this 18th century former fur warehouse turned B’n’B is for the sophisticated traveler seeking something quiet, different and off the beaten path. The lobby is an art gallery; behind the front desk is the small breakfast room. Reserve well ahead for one of nine rooms (can sleep 3-4 including well-mannered kids), each of which has more lovely artwork, all the modern amenities, re-creations of traditional Québec armoires and beds, and the original exposed-wood beams and thick stone walls. This family-friendly hotel offers spacious accommodations near the heart of downtown. Cribs, a fitness center, pool, jacuzzi, parking, and a restaurant are also available on premises. 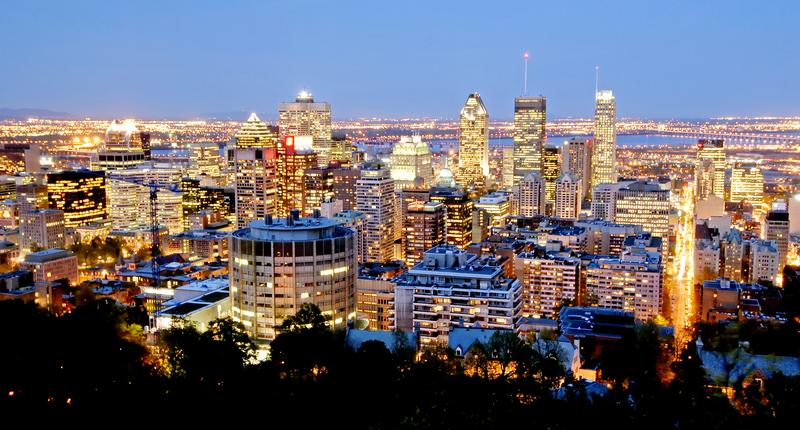 Families can walk to McGill University, shop on St. Catherine Street, and try restaurants, museums, boutiques, and the public transportation system nearby. The hotel is also an ideal location for Montreal’s summer festivals including Just for Laughs, the Jazz Festival, and La Fête des enfant, or Children’s Day. Whether you’re with kids or on a couples weekend, the downtown location of Hotel Le Crystal provides easy access to Montreal hotspots, including the Bell Center (home of the Montreal Canadians hockey team), Saint Catherine Street for shopping, an indoor ice skating rink, outdoor parks, and numerous restaurants. The hotel itself doesn’t disappoint either, as you can see from this Le Crystal review, with two restaurants and large and luxurious rooms. The hotel’s health center is spacious and includes a salt-water swimming pool, with an expansive view of the city, a sauna and outdoor, rooftop Jacuzzi. Rooms are equipped with a kitchenette and guests are provided free breakfast and complimentary evening social. Sauna, indoor swimming pool and fitness room can as well be accessed. Formerly a Westin, this elegant 299-room hotel offers a restaurant, health club and fitness club, walking and jogging paths located nearby and seasonal urban outdoor pool (from mid-May to mid-October). Families will find many of the same welcome gifts and amenities that Omni provides to all its hotels. Pets are welcome at this very kid-welcoming hotel which offers a pool, fitness center, sauna, game room, and baby-sitting services. The Children’s Creative and Activity Center is open 6:00 PM-10 PM during weekdays and 8:00 AM-9 PM during weekends year-round for all ages, but it can only be used by young children when supervised by a parent. The service at this Loews hotel is excellent, the décor chic and the location puts you in the heart of downtown. A nirvana for travelers on business, Loews Hotel consists of 142 oversized guest rooms and 16 suites which each have a marble Jacuzzi and a big-screen TV. Babysitting and pet sitting services offered. This hostel offers private as well as three-, four-, six- or 1-bedded family rooms with fully-equipped kitchenette. Guided walking tours are arranged for guests. The Montréal Hostel is within walking distance of downtown attractions including the Bell Centre, home of the Montréal Canadiens NHL hockey team. First Hotel Tip Alert! Visitors from outside Canada should keep all hotel receipts so they can apply for a Tax Refund. And now you ask us, what’s so French about Montréal? See if the kids can identify any of these signs that this is, indeed, a very France-influenced country. Signs are in French; people address you first in French. Street ‘sweepers’ have long silver elephant nose vacuum hoses like those in Paris. For more hotel and attractions information call 877/BONJOUR or contact Tourisme Montréal.